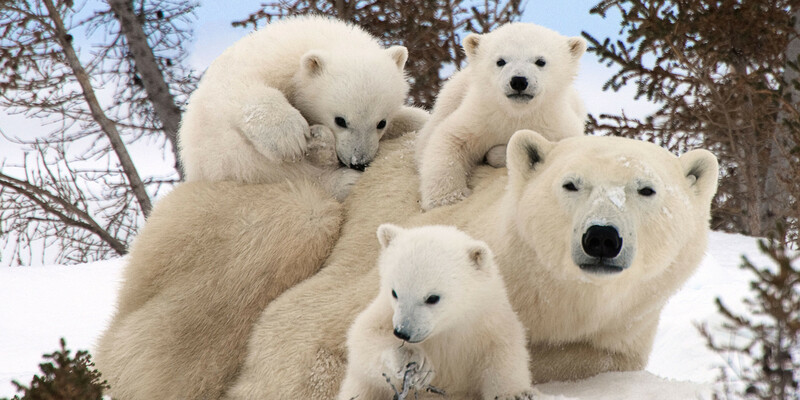 Save Polar Bears & Interesting Cool Facts About Them! A MUST READ!! 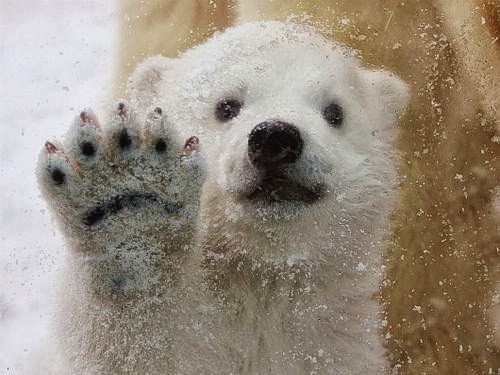 When I see Polar Bear, I see LIFE. Nevertheless, there are people out there who see Polar Bear just as an animal to be shot and killed. To shot dead the poor animal for their fur, trophy or just for the sake of enjoyment. Maybe I’m not in control to say “Please stop torturing animals people!”. The least I could do is try my best to alert the whole world through my writing (at the most those who read this and past around the info to create awareness and help what we can). 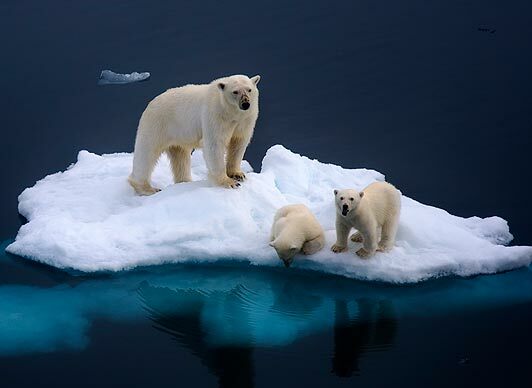 µPolar bears are also known as marine bear, Arctic, or Ursus Maritimus (scientific name). µThese fascinating animals are the world’s largest land predators. µMost of its diets is ringed and bearded seals. 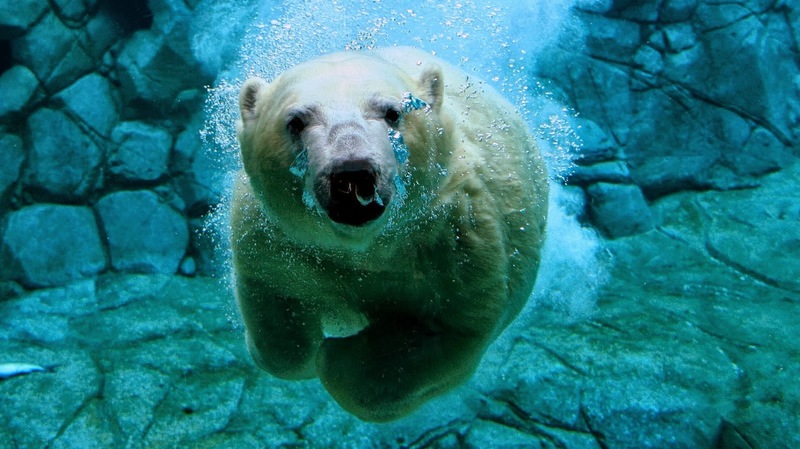 While sometimes polar bear also eats walrus, beluga whale, birds, kelp and vegetation. 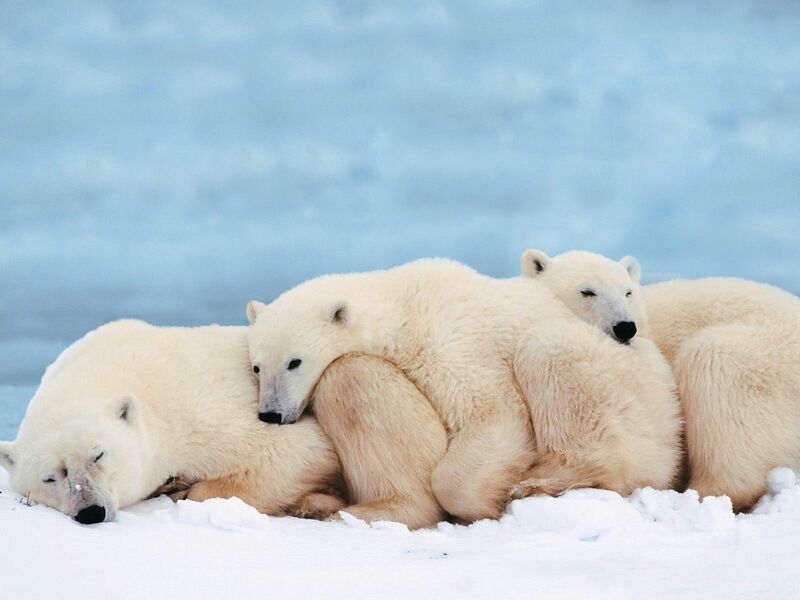 µPolar bears are found in the Arctic region namely in 19 subpopulations such as Alaska, Canada, Russia, Norway and Greenland. µHowever, 9 are in decline compared to 3 are stable and only 1 is increasing and other 7 don't have enough data to draw any conclusion yet. µ They have clear hollow hairs covering their bodies and the reflection of light makes them look white. µ Sometimes the ones that kept in captivity can change into green due to the presence of algae growing inside their guard hairs. µ Polar bears are exceptional swimmers and are known to swim hundreds of miles (long-distance swimmer) and they can swim nonstop for a week! 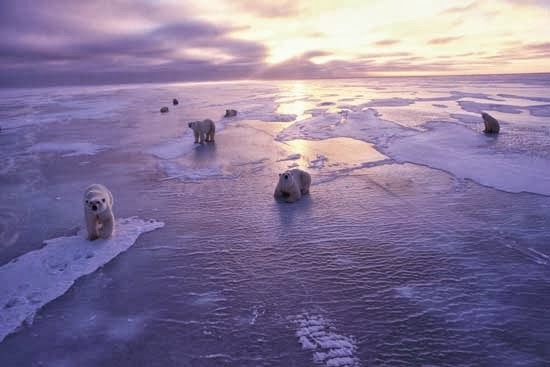 µ Some polar bears have been recorded to swim as far as 200 miles (321 km) away from the shore. 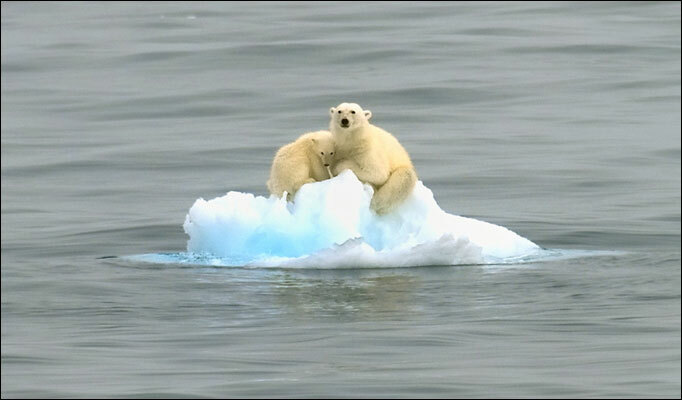 µ One true sad story, a mother polar bear and her cub swam 426 miles (680 km) over 9 days to find a new home due to melting of ice which is their natural hunting ground. Unfortunately, her cub died along the way and she lost 22% of her body weight when she finally reached land. It is a sad event even to think the challenges these creatures faces. µ Basically, polar bear lives alone. µ A group of polar bears is known as ‘Celebration’. 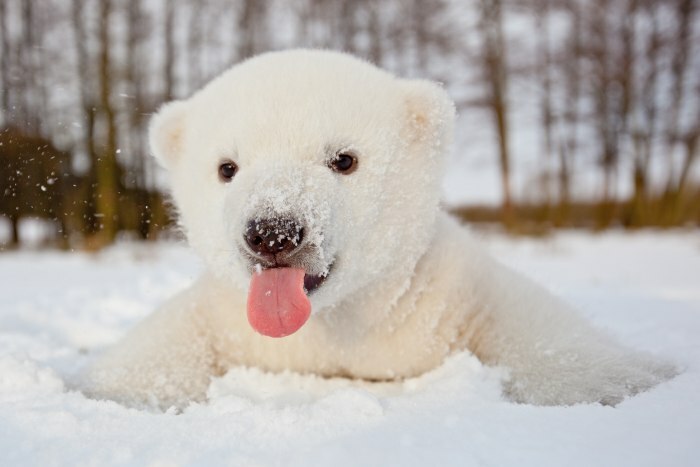 µ Polar bears are invisible to infrared cameras because the radiative properties of polar bear hair are exactly the same as those of snow. 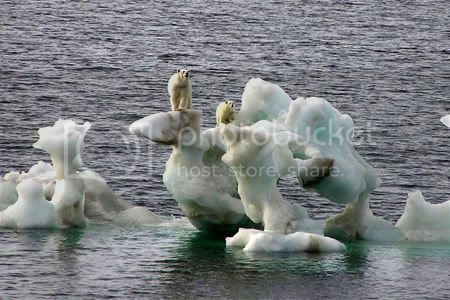 µ Do you know that these polar bears only courting and mating twice a year which in the month of April and May? µ Then they have to fight for their mate with other males which result to injuries such as scars or broken teeth. µ On average each litter has two cubs. The gestation took place about 8 months with delayed implantation. 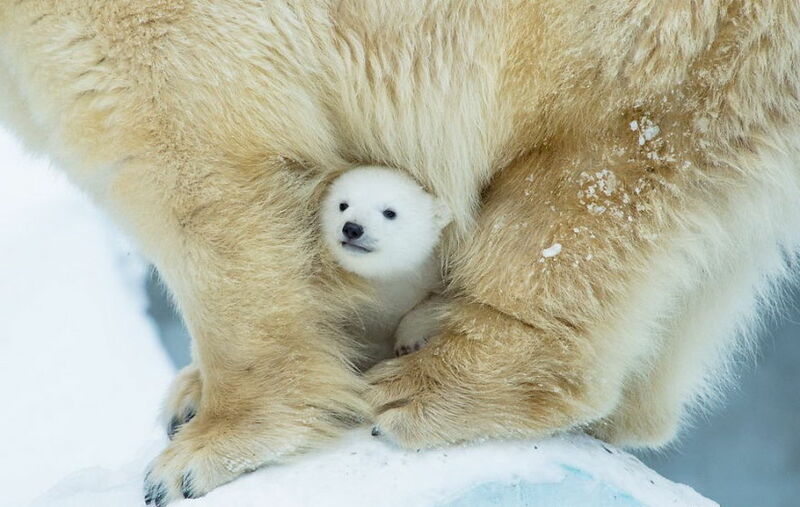 µ Normally, female polar bear gives birth every 3 years. 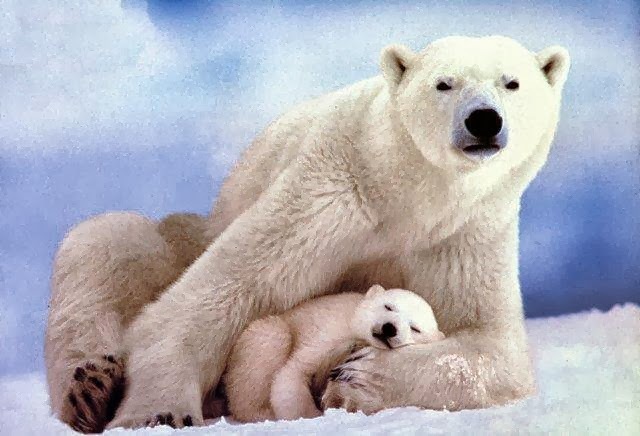 µ But bear in mind, the female polar bears can only produce up to 5 litters in their lifetime which makes its the lowest reproductive rate that occurs at any mammal. µ Typically, cubs are born helpless and nurse for two and a half years. 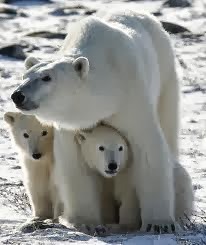 µ This female polar bears are noted for their affection and protecting her cubs. µ However, most cubs are weaned at two and a half years of age and sibling cubs will travel and share their food together for weeks and months after their mother abandons them. µ Polar bears rarely attack humans unless they are provoked (self-defense nature), hungry and scared towards human. 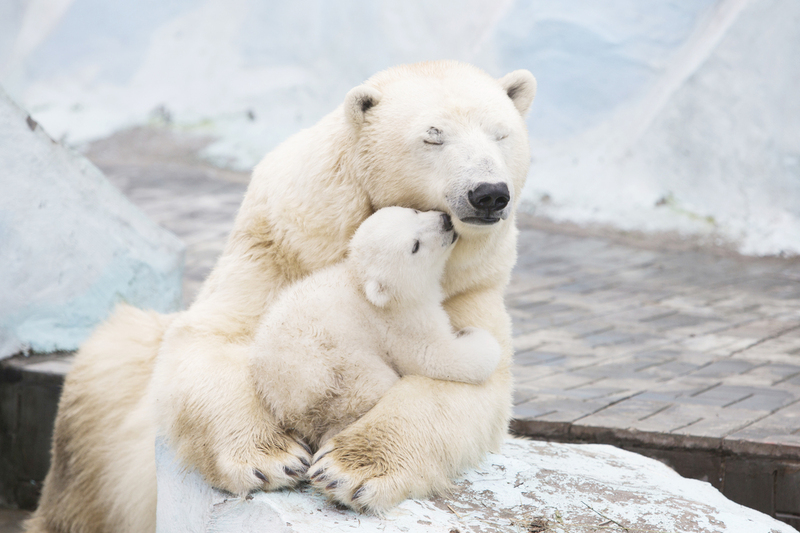 Stop any cruelty towards polar bears! Polar bear is not just cute and cuddly (to me) although it is a carnivorous bear, but the bear needs conservation efforts as they are endangered species especially in today's world! Can you imagine when you are reading this post, maybe there are polar bear that is being shot dead or captive by killers or hunters. I’m still going to provide the info in average how many polar bears died per day although there are people out there that say it is a false science. Still, we human has the ability to choose, believe or not to believe and I choose to believe. Nothing to lose if you believe in something good and real. 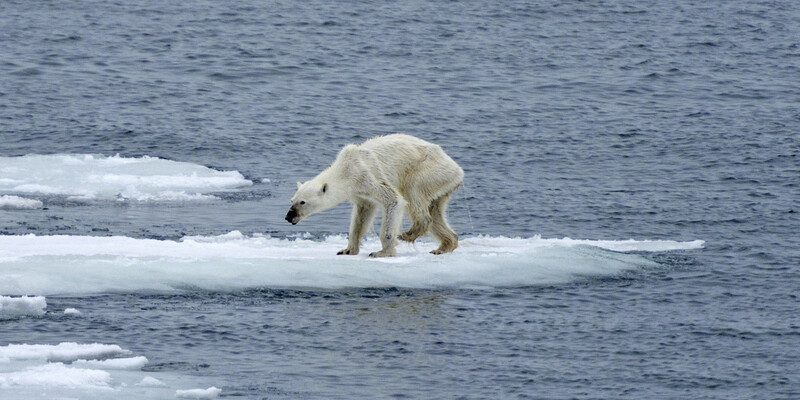 These polar bear deaths are 4 to 5 average per day due to global warming. The ice is melting, SERIOUSLY! 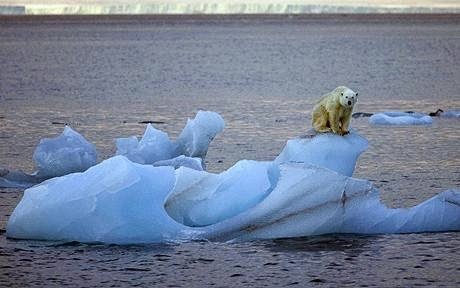 This is a number that we know due to global warming but how about the ones that been killed by humans? 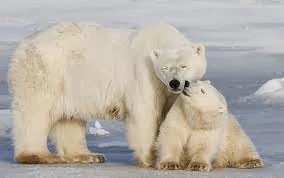 Due to the intensity of climate change and Arctic menu has been dramatically altered these recent years, these poor animals have to turn to more disturbing option; cannibalism-eating cubs and worse, their own kin. To those few people out there, stop denying that global warming is a myth or is not happening now. Is like denying that death is not coming to you in any way. 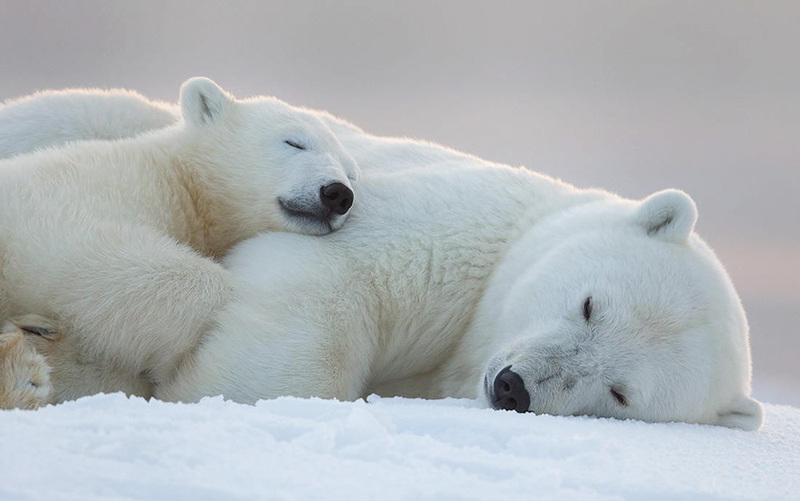 Climate change, pollution, oil and gas development, sport-hunting and not to mention others is threatening the polar bear habitat and species. Furthermore, human are the only species that preys on polar bears! Hence, I beg everyone out there, please spread the love. Let us try our best to protect while we can!! 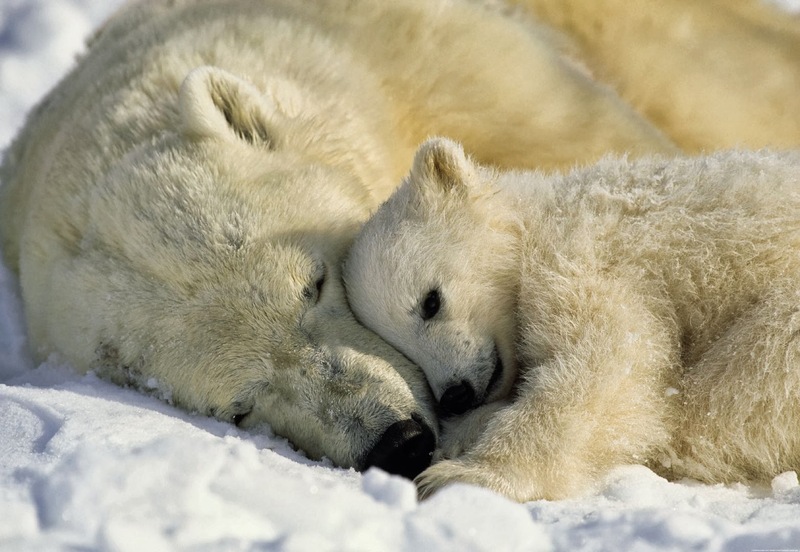 Not just for the polar bears, but for the balance of ecosystems, nature and the well-being of humanity! This poor cute little cub's life depends on your love to spread the message. 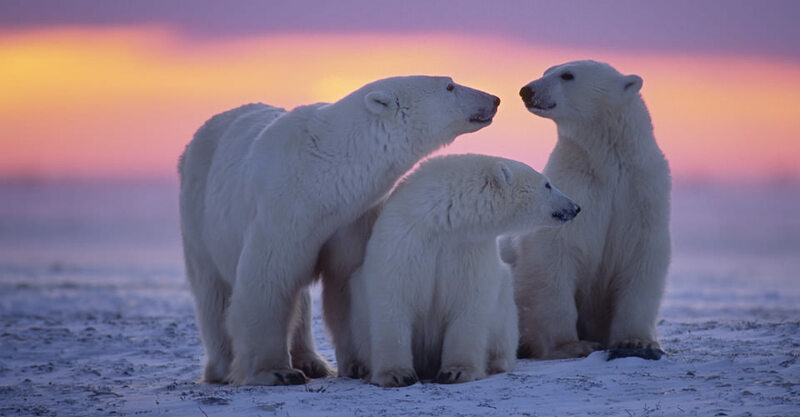 Hopefully our action can someday save polar bears and other animals elsewhere. 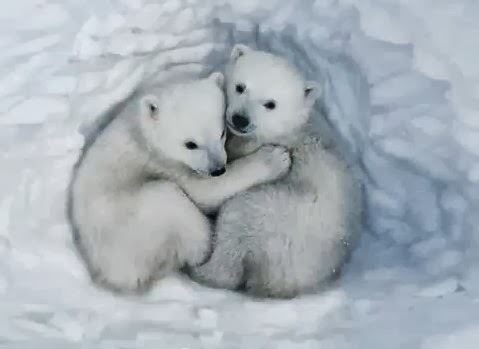 Please watch the videos I tag for a better view on Polar Bears Killing. Must watch Polar Bear Killing Shame! Let us preserve nature and uphold humanity Worldwide! I'm very inspired to conduct further research on polar bear extinction after reading your post. I'm your #1 fan cos you're a great writer. Please keep writing and I look forward to your future posts! I agree with MFT, you write very well. It is shocking to see how the global warming is effecting nature in a big way. On the other hand, countries are finally doing something about it. But killing the animals, who are struggling enough with global warming is truly unforgivable. I am grateful to hear such positive comments and support from you Angelika Schwarz. Thank you so much for your kind words and encouragement. Both of you definitely touches my heart and soul to keep writing for the greater good. =) True enough that countries are finally making conservation effort and signing up on petition to save polar bears. But it is very depressing to know that they are a group of people who kills animals for fun (besides polar bears). It is already atrocious for these animals to survive in the wild and we humans as their number one hope, kill them and treat them heartlessly. May these individuals realize and change for betterment. Amen.